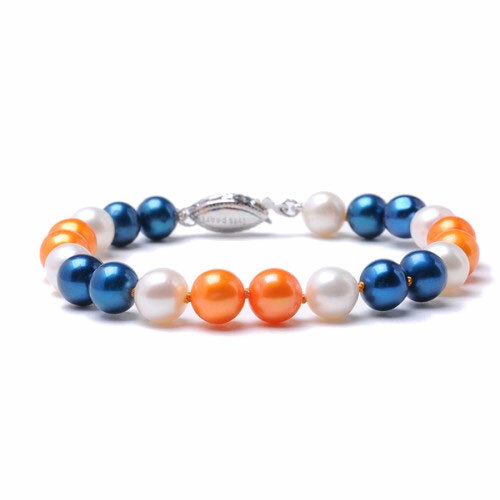 A classic 7.5″ freshwater pearl bracelet handmade with 7-7.5mm orange, blue and white pearls. Handstrung, double knotted and finished with a sterling silver clasp. Great gift for any University of Florida fans. Comes with our Spirit Pearl bag. Go Gators! © 2019 Brocks Jewelers. All Rights Reserved.